Fido Cable Archives · Stop the Cap! You may soon have a choice of cable companies, but don’t expect any savings doing business with the competition. South Carolina-based Sky Play, LLC has launched a new cable service it claims is available across the U.S., offering competitive broadband and later phone and television service. The service, known as Fido Cable, is dependent on leasing access from cable companies including Cablevision-Altice, Charter-Bright House-Time Warner Cable, Cable One, Comcast, and Cox as well as telephone company AT&T. The company’s claims about the aspirations of American cable subscribers may be true but after Stop the Cap! called the company and obtained price quotes, it is clear any savings doing business with Fido Cable are illusory at best. Fido has a single page website that needs work, including correcting “Cable Vision,” when it actually meant “Cablevision.” Details about service and pricing was scant, so we called the company to get prices for two large cable operators: Time Warner Cable and Charter. The company claims it offers internet access today and will be offering voice services across its national footprint and television in “select cities.” For purposes of obtaining pricing information, we quickly learned our home city of Rochester, N.Y., is not select enough for Fido Cable. 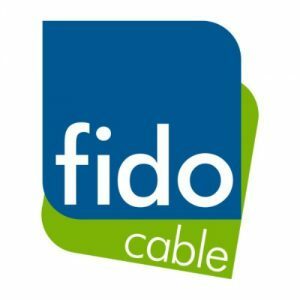 Fido Cable (which has no relationship with the Canadian prepaid mobile provider “Fido,” owned by Rogers Communications), says internet and voice plans start at $39.99 a month, but not for TWC or Charter customers. For instance, Fido charges a $120 installation and $15 modem fee for both Time Warner Cable and Charter customers. The representative claimed the modem fee was a one-time charge and customers were allowed to supply their own equipment. 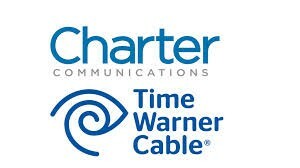 In comparison, both Charter and Time Warner Cable agreed to waive any installation fees for new customers. Time Warner Cable charges a $10 monthly modem rental fee and Charter includes the modem in the price of its service. Fido Cable charges $65 a month for 15/1Mbps service. Time Warner Cable’s equivalent plan costs $59.99 a month for the service and modem rental (deduct $10 a month from TWC’s price if you buy your own modem). A 50Mbps plan from Fido costs $120 a month, but it’s $119 a month from Time Warner Cable (again, deduct $10 if you supply your own modem). For Charter customers, a 60/4Mbps plan is priced $59.99 direct from Charter, but if you choose Fido Cable you will pay $5 more a month: $65. A 100/7Mbps plan from Charter is priced at $99.99, or you can pay Fido $105. A 2-year price guarantee applies to all pricing.